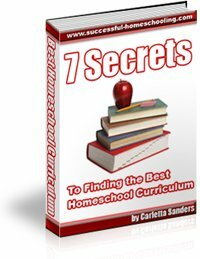 The good news about finding a home school curriculum is there is a lot to choose from. The bad news about finding a homeschool curriculum is there is too much to choose from! Finding the right program for your child can be both nerve-wracking, and overwhelming, but you can find a great program if you avoid several simple mistakes. Failing to Assess Needs and Goals - When choosing materials for your child, don't just open up a glossy catalog and make an order, or run through your local home school convention fair grabbing workbooks from savvy salesmen. Before you even look at homeschool programs, take time to assess your goals for your child and determine what you need to reach them. Using what a Best Friend is Using - Your best friend is not you. Her kids aren't your kids, and her needs are different than your needs. The program that your friend, neighbor or fellow homeschool group member raves about may be a disaster for your family. Do listen to the advice of trusted friends and love ones, but before acting on that advice, make sure the recommended program meets your family's needs. Listening to the Experts - There are numerous experts in the homeschool community who will be happy to tell you what teaching method or curriculum is best for children. Remember, these individuals are only experts in their chosen philosophy or in whatever product they are trying to sell. Don't be afraid to disregard expert advice. You're the expert when it comes to your family. Buying Sight Unseen - When purchasing home school curriculum, it is absolutely essential that you look before you buy. Ask friends from your local homeschool group if you can stop by and take a look at their program. Attend a local hotel meeting or homeschool vendor fair. At the very least, view samples from the company's website and read reviews that were written by other homeschoolers. Follow this link to find one of the largest online collections of homeschool curriculum reviews! Overbuying and Overspending - Be careful about what and where you buy. You may not need everything that comes in the complete kit sold by the publisher, and you don't have to purchase everything from a single distributor. Distinguish between wants and needs, and take time to find a good price. You don't have to spend a fortune to home school successfully. 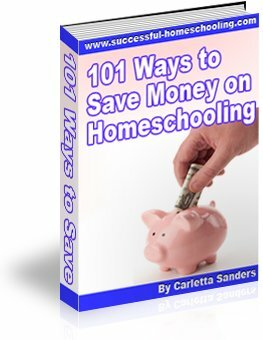 For information about finding discount homeschool materials, download my free e-book, 101 Ways to Save Money on Homeschooling.